An ear specialist is experienced in a branch of medicine called otolaryngology, which involves the surgical and medical management of ear, nose, and throat diseases and disorders. An otolaryngologist can treat hearing loss, ear infections, balance disorders, cranial nerve disorders, and tinnitus. An otolaryngologist can also manage birth disorders related to inner and outer ears. An otolaryngologist is not ready to begin practicing in the field until they have completed 15 years of college and post-graduate training. This includes four years of college, four years of medical school, and then at least five years of specialty training. They must be certified by the American Board of Otolaryngology. To receive a license to practice, an otolaryngologist must pass an examination presented by the Board of Otolaryngology. When you see an ear specialist, you are receiving care from an extremely qualified and dedicated physician. Our group of physicians consists of the best in the field, and our staff regularly teaches medical students and fellow physicians in training. Department members are also regularly invited to teach lectures and to present research on the regional and international level. Ear Infections: Ear infections are one of the most common types of complications resulting from a cold. Many ear infections can be treated by antibiotics. However, recurring ear infections without treatment can result in hearing loss. When fluid builds up in the middle ear, this causes an infection called otitis media. When the infection is located in the outer part of the ear, it is called otitis externa. Pain is the first symptom of either type of infection. A fever can also accompany the pain. Treating an ear infection usually involves a prescription antibiotic. However, it is possible for the infection to go away by itself. With an antibiotic, you should see an improvement in your symptoms within 24 to 48 hours. Recurring ear infections are common, especially among children. Your child’s ear specialist may recommend surgically placing tubes into the ears to prevent recurring infections. 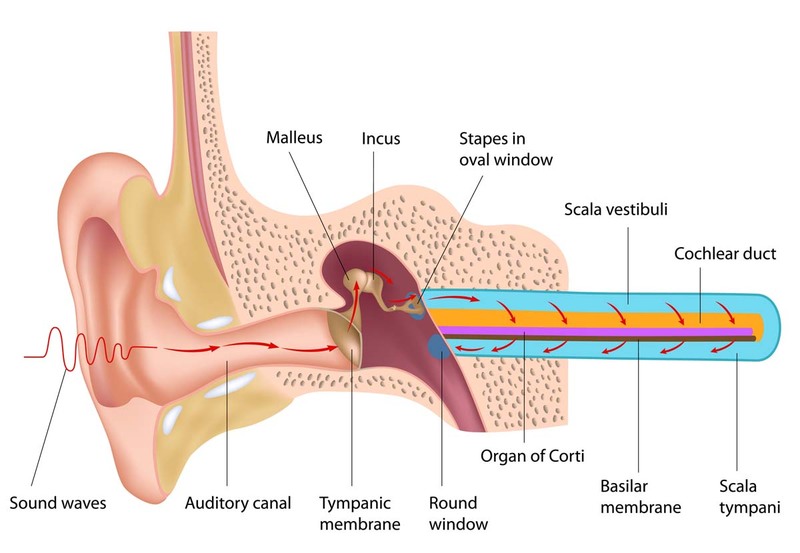 The tubes help the fluid to drain from the ear, instead of allowing it to build up and cause an infection. Ruptured Ear Drum: Sudden loud noises and a direct injury to the ear, such as using a cotton swab too deeply, can result in a damaged or ruptured ear drum. Another form of a damaged ear drum is barotrauma, which refers to the damage that can be done when scuba diving or flying on an airplane. If there is a large tear in the ear drum, a surgeon will repair the damage with a procedure called tympanoplasty. This procedure involves repairing the tiny bones that are found in the inner ear. Tissue or a fat graft can be used. This procedure is done on an outpatient basis, but does involve restrictions. For example, you will likely be asked to avoid blowing your nose for several days and will need to keep your mouth open if you sneeze. You may also need to avoid heavy lifting for a period of time following the procedure to minimize pressure in your ears. Many patients are not sure whether or not they need to see an ear specialist. In general, we recommend contacting our office if you are experiencing any type of issue related to your ear, nose, throat, head, or neck. In some cases, your primary care doctor may refer you to a specialist. Our group of physicians and researchers with the University of California Irvine’s Department of Otolaryngology-Head and Neck Surgery are able to diagnose and treat a large range of ear conditions, including protruding ears and common ear infections, like swimmer’s ear. Our treatment methods range from conservative to surgical. We work carefully with you to determine the best treatment option.